The Lantronix unit is used for SMP installations. 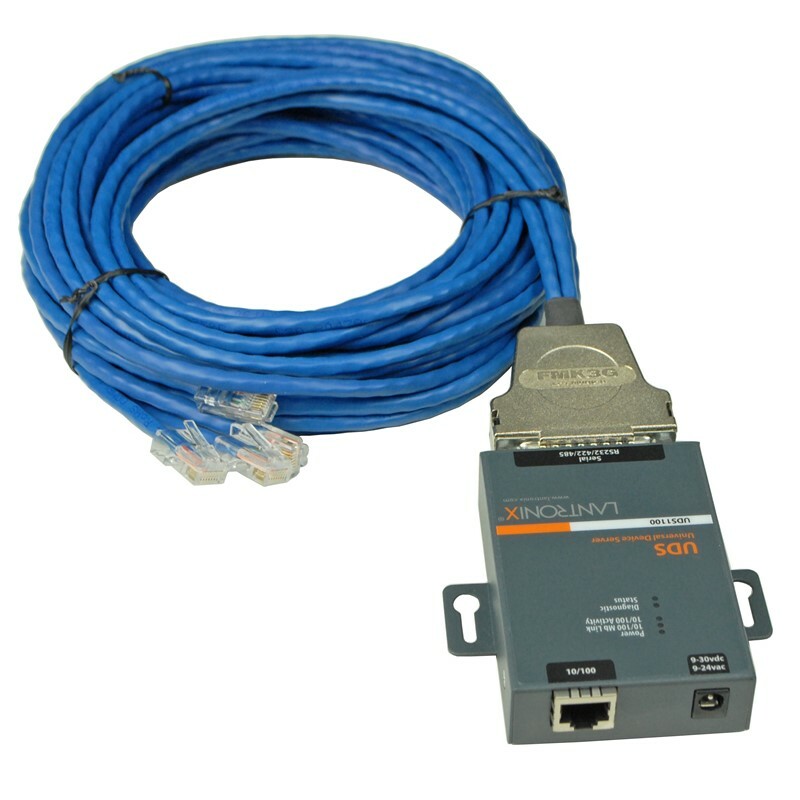 It is a rugged and powerful tool which enables users to connect, manage and control just about any piece of industrial equipment from virtually anywhere over Ethernet or the Internet. This single-port Device Server is a quick, simple and inexpensive way to bring the advantages of real-time or on-demand information access.